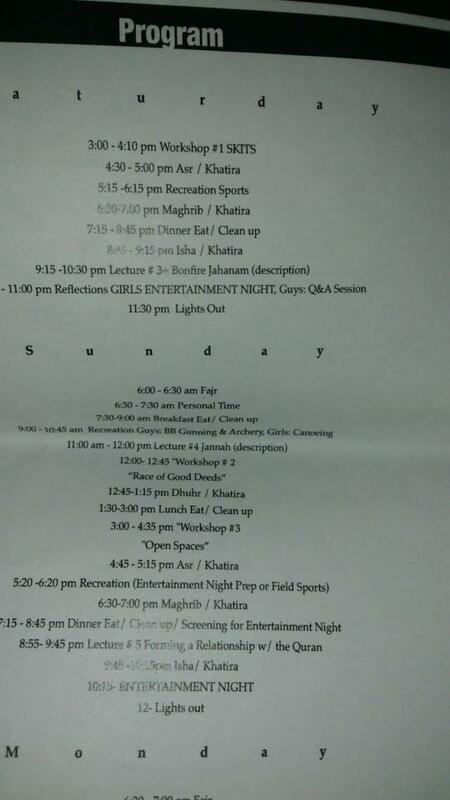 MV: 4 days of living in the open atmosphere along with over a hundred Muslims, what a great experience subhan’Allah. 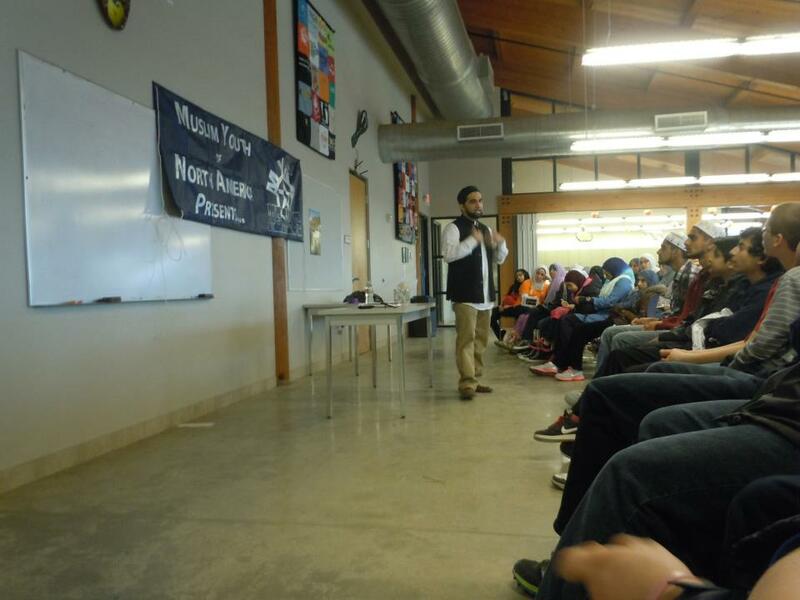 This weekend I got the opportunity to attend a camp organized by MYNA (Muslim Youth of North America), for the first time. The camp was a completely different experience (being my first camp ever), it was unlike any Islamic event I’ve attended before. 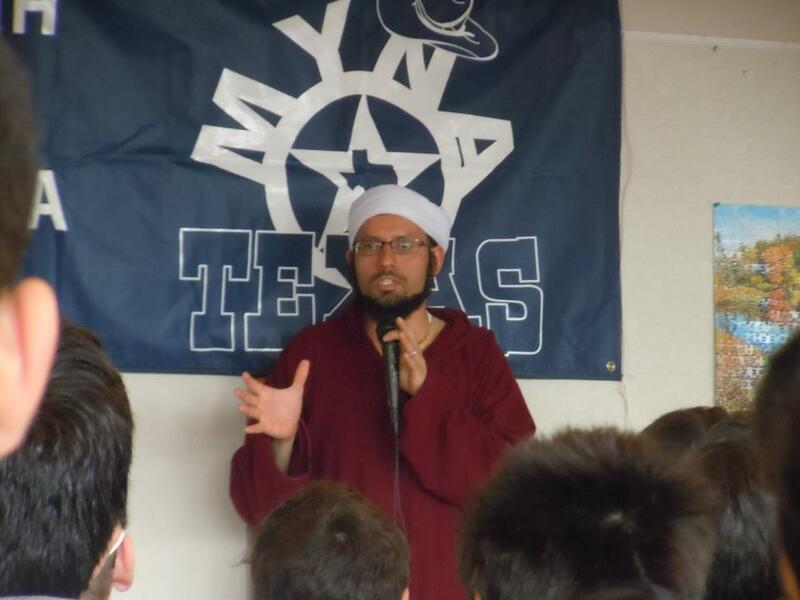 I’ve attended MIST (Muslim Inter-Scholastic Tournament), the ICNA Convention, and an Al-Maghrib seminar, and have to say that MYNA camps are very unique. For one, the camp was almost completely organized through the youth (some as young as Middle School), from the event hosts to the setup. This is very impressive knowing that this was a weekend long camp. No fobby uncles or aunties were seen! Another obvious thing to note was that with being a camp, MYNA helps create very strong bonds with other attendees. Obviously the reason being since everyone is around each other, day and night, many times with people you may not know from before. Being that close really does have an impact after you leave the camp, some of the habits and behaviors of people sprinkle you with influence. Hafidh and Dr. Kamran Riaz. Masha’Allah – This guy is not only a Eye Surgeon, but also almost a qualified Shaykh. Studied and Mastered both Alim course and med school side by side! 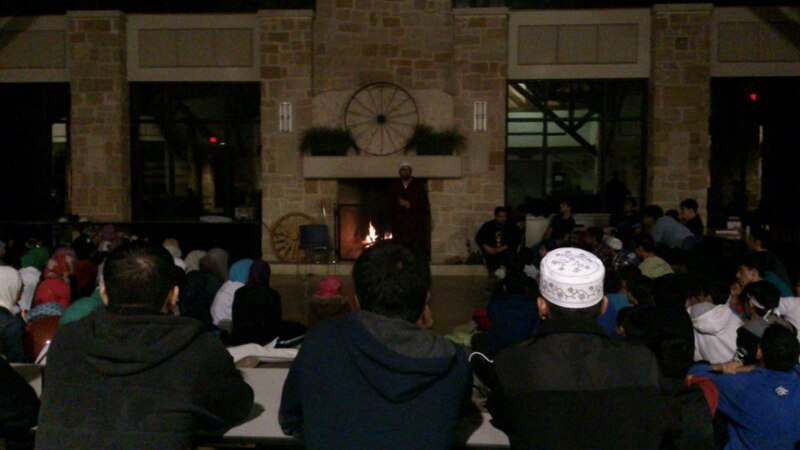 Shaykh Islam – Another amazing speaker. Not only had an amazing Qiraat, but also heartbreaking talks on Jahannam and Jannah. Half way through his lecture, the lights and mic started flickering and eventually turned off completely. Outside you could see continuous lightning with a loud sound of thunder. Behind the Shaykh was fire. Made a talk on Jahannam ever more intense and heart pounding subhan’Allah. 9…and of course the amazing organizers who dealt with hours of work, sleepless nights, and keeping mad sabr to help bring the camp together and live for us. 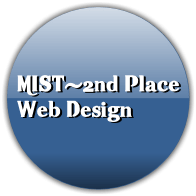 MreView: Was the camp worth the time? For one, the schedule and organization aspect had some room for improvement. A lot of times I felt as if some of the activities were rushed (such as Archery and open spaces) and while other times some were very stretched out and dragged on. Especially the time period after breakfast, lunch and dinner, a lot of time would be spent on doing almost absolutely nothing, while that time could have been spent on another activity. This wasn’t to say, entirely the fault of the organizers, as day light savings was overlooked and the storm took up a few activities (such as canoeing for brothers), but at the same time, a back up plan should have been ready and for the other days the schedule should have been cut a little shorter. There were some high expectations out of the campers. Our schedule was so that we would sleep relatively late and then wake up early for Fajr (6am) and stay awake the rest of the day. The schedule was so that the lectures would take place right after breakfast and most kids would fall asleep during the lecture. Don’t get me wrong, waking up for Fajr and then not sleeping is a great habit, but again, going back to the point about time slots; we had have long waits, delays, or no activity, if those were cutback we could have more time to end early, sleep early, have good rest, and be ready and awake the duration of the next day. Also, out of the high expectations of the campers came also the long walks in the cold to different locations at the camp. Some locations were VERY far and the weather was freezing! I believe that some sort of transportation from one building to another would have been beneficial to the campers, who again, were not all rested and could have had a chance of becoming sick due to the weather. All drawbacks aside, the camp was truly amazing subhan’Allah. From the great bonding experience to the amazing life lessons, the camp gave a feeling of how united our ummah really can be and how being a Muslim youth is actually pretty cool. Through the camp, I met some amazing people, Muslim youth, with amazing potential. I was very impressed to see a whole weekend long camp organized all by the youth, for the youth. It was all through the dedication and hard-work from the youth that the camp was this successful masha’Allah. May Allah swt reward the orgizers all for the great work, Ameen. 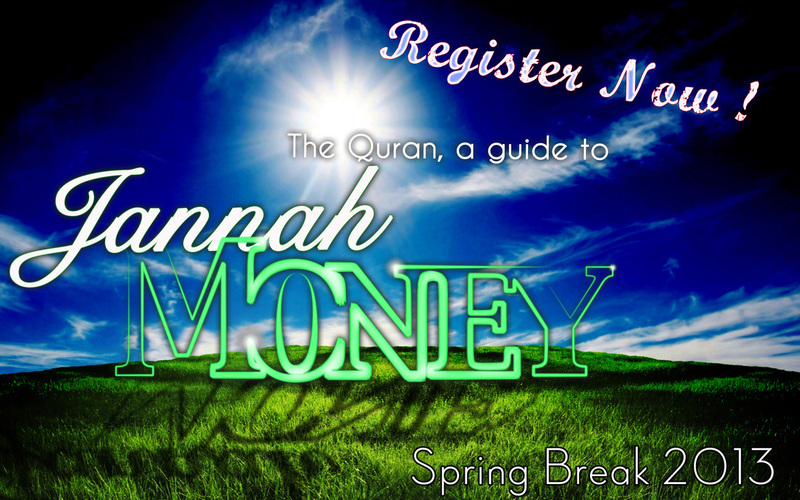 Looking forward to the next camp insha’Allah! Thanks for posting a review! I appreciate it! There is something magic about “enemies” coming together in a safe place in nature, to discover the humanity of the “other” and transform the nature of their relationships forever. The decade-old pioneering efforts of “Seeds of Peace” in Maine, and “Building Bridges for Peace” in Colorado, are the premier summer camp youth experiences that usually come to mind right away. Few realize that now their are a dozen camp experiences that have modeled bringing Palestinians and Jews together in North America. Inspiration comes from each camp’s story of of birth and success , even in the darkest of times? What if your heard that one was initiated by an Israeli high school senior residing in Ottawa who met her very first Arabs and Muslims only in her junior year, and was so transformed that she dedicated all these months to assure other youth would have that life-changing experience? Well, you just heard it. Read how young Michelle Divon’s new life began, in the story told at http://traubman.igc.org/youth3.htm . And take time to appreciate the numerous North American camps that have been created, shown here all together for the first time. And please pass on to others these hopeful stories of individual women and men who make things happen. Our new future together is as close as an open mind and outreached hand — and your courage. site and in accession capital to claim that I get actually loved account your weblog posts. Any way I will be subscribing on your feeds or even I achievement you get right of entry to persistently fast. This is mostly a no-nonsense exercise which may help you tighten the skin around the lower part of your face including your jaw line and neck. reduced, these muscles can be maintained with less than half the amount of work. Facial toned muscles can take up to 5 to 10 years off your appearance. in order to proceed in the game. On va dire que cе n’est guèгe erroné ! !